Need a high performance, multi-band, stealthy antenna system that is easy to setup and use and is rated for full 1500 PEP? 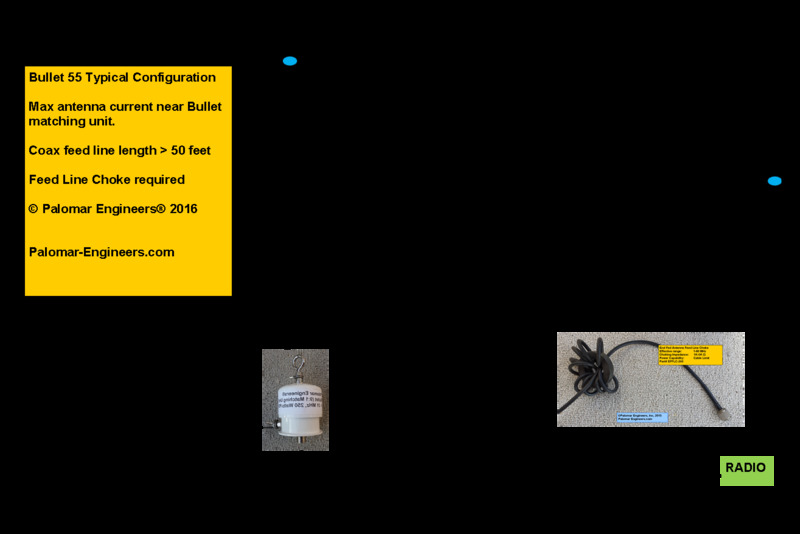 Get the Bullet Senior, an upgrade to our popular 500 watt Bullet antenna? The antenna wire and insulator are all in one convenient package (great for HOA restricted areas, camping and portable operations, etc.) and don’t forget to add the CMNF-1500 feed line choke. (160-80-40-30-20-17-15-12-10 meters – 71-203 feet length options, 14 guage insulated wire for abrasion resistance, dog bone end insulator). Note: 160, 80 and possibly other bands require an antenna tuner depending on individual installation, soil conductivity, length of counterpoise and/or coax used. Adjust length of antenna, coax or counterpoise to suit your needs. 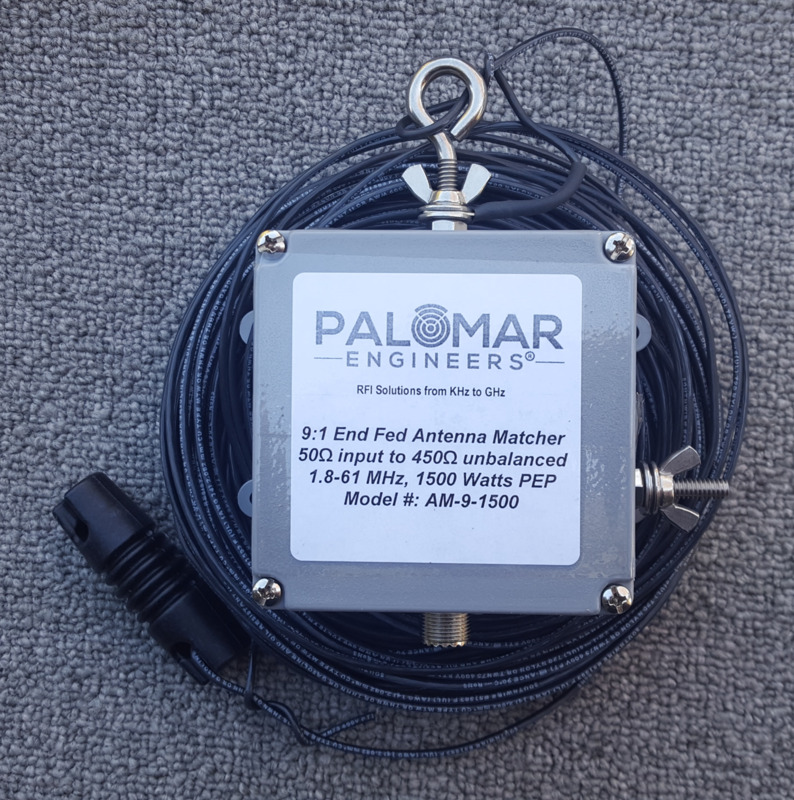 The antenna is simple to deploy, folds up easily for transport, and weighs under a pound, yet, with the 71 foot (chose longer length options for better low band performance) included wire, can work the 80-10 meter bands easily with the built in antenna tuner of most current day transceivers. The key to the antennas success is the matching network interface between the long wire antenna and the coax feed line to the transceiver. 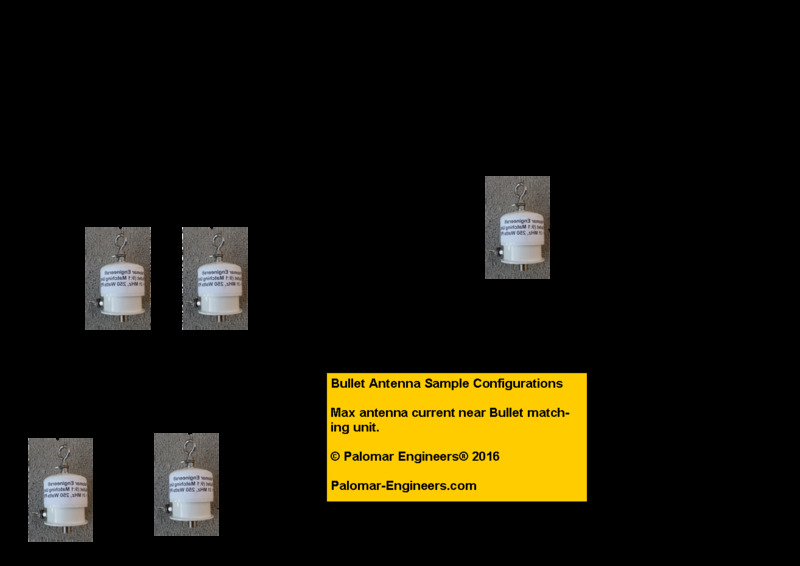 The Bullet Senior employs a quad core matching system that offers wide bandwidth (1.8-61 MHz), 1500 watt PEP rating, and a connection for a counterpoise or ground if desired, and a SO-239 female coax connector for easy attachment of coax cable (50 or 75 ohm is ok). For best results we recommend that the coax feed line be at least 1/4 wavelength on the lowest operating frequency since the coax braid is used as a counterpoise if you don’t use the external counterpoise terminal on the matching unit. We also recommend a feed line choke at the end of the coax feed line near the radio to prevent RFI common mode current from interfering with the radio. If you run more than 500 watts PEP and need a high power 9:1 unun for your end fed antenna, check out the 1-7.5KW PEP ununs. NOTE: due to the nature of antenna systems and the modifications many users perform and the transmitter power levels that may be applied higher then the specifications, the antenna systems are NOT RETURNABLE unless they are unused, in the original packing with the original invoice and a return request is made withing 30 days of original purchase.